This beautiful Tea/Coffee Service was made in Japan and imported by Takahashi of San Fransisco probably in the 1970s. 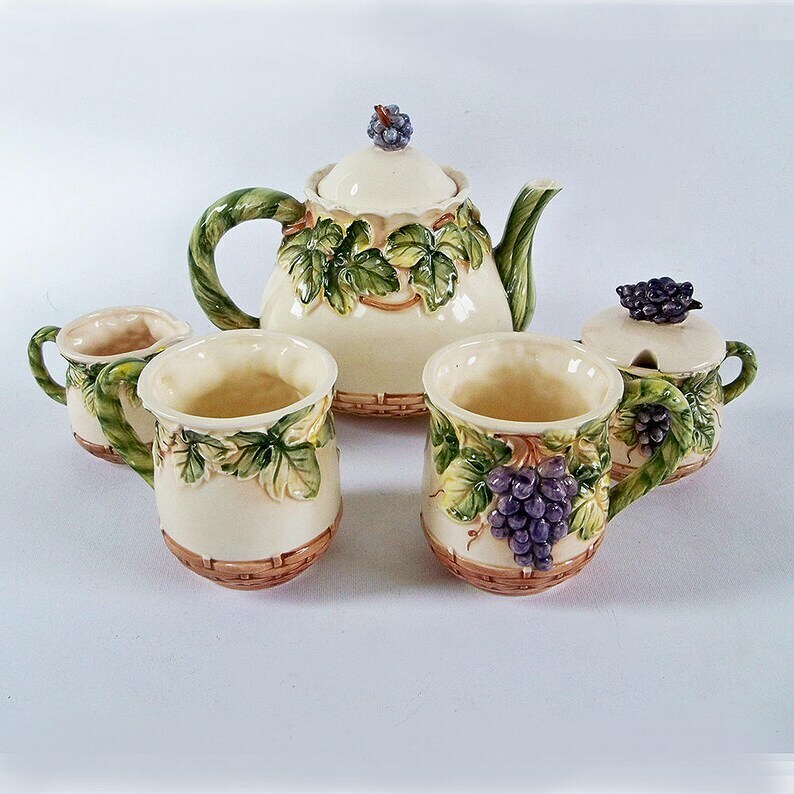 The set is hand-painted in a whimsical English cottage style with a three dimentional grapes, grape leaves, grapevines and lattice design. 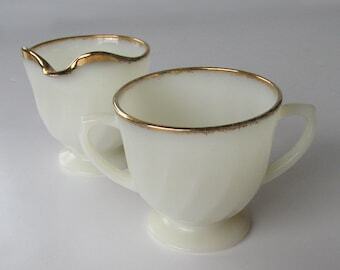 Included in the set are a pot, cream & sugar and two mugs. 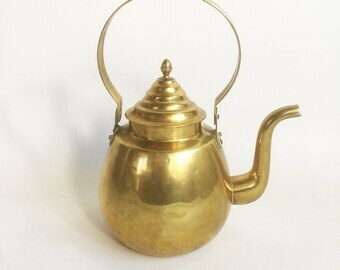 The pot stands 7" and is 8" from spout to handle. The sugar bowl is 4.25" tall (with lid on) and 4" across (handle-to-handle). The creamer is 2.75" tall and 3.75" from handle to end of spout. The mugs stand just under 4" tall and are 3" in diameter--they hold approx. 12 oz each. 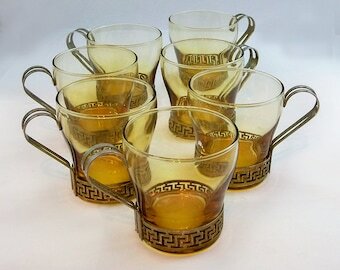 Overall this set is in good, used vintage condition with shiny glaze and no cracks, crazing or evidence of repairs. We found a small chip on the outside lip of one of mugs and another small chip on the pot lid rim. The interiors are clean and free of stains. Flat $14.95 USPS Priority Mail (2-3 day) shipping to anywhere in the USA. 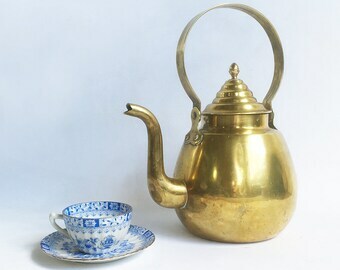 Vintage Brass Teapot, Tea Kettle, Brass Cookery "FREE USA SHIPPING"
Vintage Brass Tea Kettle, Brass Teapot "English Country Cottage Charm"